Well, we’re coming up on the busiest season home making has to offer. Between the baking, the decorating, gift wrapping, costume making and entertaining- the next three months are going to be hard on moms everywhere. I for one find that there are a few little rituals I engage in during the busy times, that give me a little oasis of calm in the storm. Sometimes it’s indulging in some Cheese Cake Ice cream, sometimes its watching a little TV on the laptop while in bed. Most times, however, its a little self-manicure. I love to do my nails. Its something that makes me feel well put together and presentable. This how-to will show you how you can get your salon quality mani in 20 minutes or less! Neutral nail polish color of your choice. 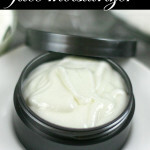 Pleasant, moisturizing hand lotion, cuticle oil or -in a pinch- olive oil. White nail polish color of your choice. Seche Vite <—-THIS IS IMPORTANT. It dries super fast, ultra shiney and self-leveling. I swear by this stuff. Its amazing. 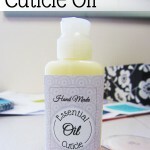 Using your cuticle oil (I’ve got a super easy home-made recipe here) massage each cuticle for 20-30 seconds. I take this time to massage my hands in general, I find this part of the process is one of the most relaxing. Sometimes, if I pout enough- hubby will even do this part for me! 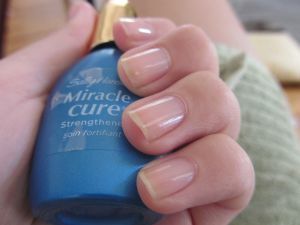 ♥ The cuticle is the best place to deposit moisture for healthy nails. 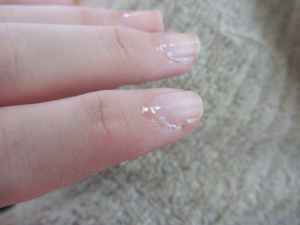 While the nail bed might absorb a little, the cuticle does most of the work. If you so choose, you can push back your cuticle GENTLY at this juncture. I don’t recommend cutting them, as that opens a door for infection. I actually don’t push them back either, as the “growing out” look doesn’t bother me. 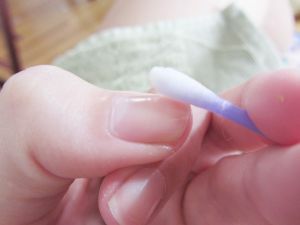 Dip the q tip in remover, and go over just the nail bed. The oil from the lotion can hinder the adhesion of your polish. This will help remove that oil. 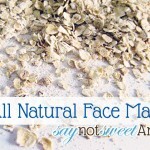 Be careful not to get it all over the skin, or you might dry out what you just moisturized. 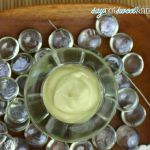 Apply a clear base coat. I use one for strength. You might skip this if you like. 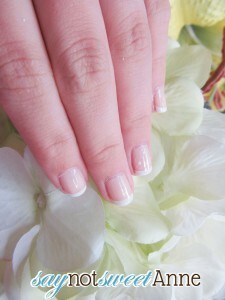 Using the method of your choice, apply a french tip. I used a Konad nail stamp for the tip and the flowers in these pictures- but I’ve since learned a WAY EASIER method. It is detailed in the video below. Basically you put the white on as messy as you want and then clean it up- instead of trying to apply it in a perfect thin half moon. In my opinion, this is the way to go. Let the white dry. Finally, the Seche Vite. This stuff is a quick dying very clear laquer. I apply it liberally, and then lay my hands on a level surface for the ~5 minutes it takes to dry. This stop coat adds serious dimension and shine, while hiding any imperfections AND drying your mani in record time. I love, LOVE LOVE this stuff. 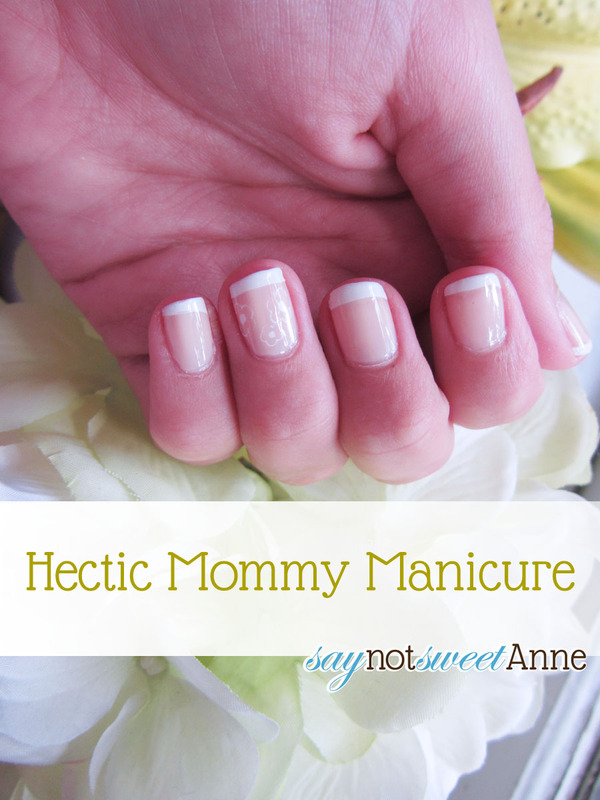 This is a fantastic French manicure for a whole lot less! 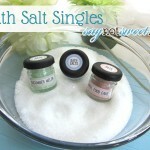 Great information — I am trying this tomorrow! Pinned. Thanks for linking on Busy Monday! I can’t seem to find the video on the easy way to add the white tips. I’m kinda a klutz at that part . Need all the help I can get! It seems they’ve taken the video down! 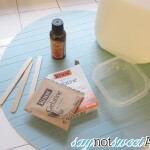 Essentially, you purchase a fan brush (paintbrush), and then slather your tips with white. Then dip the brush in remover and use the fan shape to gently remove the extra while getting a nice half moon!